Indie director Wes Anderson has made his first animated film since 2009 with his Japanese set Isle of Dogs, mixing his signature style and bringing back a bit of darkness and grit to the animation genre. Ten centuries ago the cat-loving Kobayashi clan went to war with dogs and nearly won until a boy known as The Little Samurai stood up and saved canines – but at the cost of being in human servitude. The Kobayashi clan have never forgotten this defeat and promised they would get revenge against dogs. 20 years in the future the city of Megasaki suffers from an outbreak of dog flu, snout fever and dog overpopulation and Mayor Kobayashi (Kunichi Nomura) issues a decree to banish all dogs to Trash Island to solve the crisis. It’s the first step to his master plan to rid Japan of dogs. However, Mayor Kobayashi nephew and ward, Atari (Koyu Rankin) sets out to find his beloved bodyguard canine Spots (Liev Schreiber) and teams up with a pack of five alpha dogs to search the island. Wes Anderson’s films are like marmite to me, I either like or dislike them. I enjoyed Moonrise Kingdom but not impressed by Fantastic Mr. Fox and The Grand Budapest Hotel. There was recently an Honest Trailer released that perfectly deconstructed all of Anderson’s tropes and Family Guy did a surprisingly good takedown of some of his films. His films have a predictable pattern to them and yet fans and critics lap it up. Fortunately, Isle of Dogs is one of Anderson's better films. 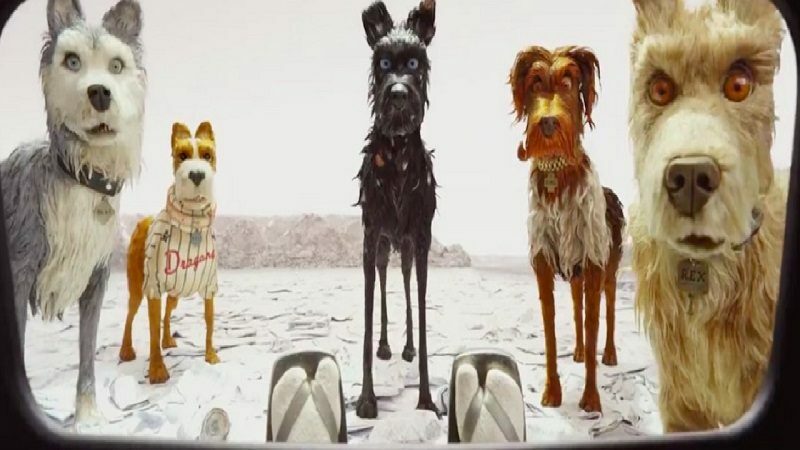 Isle of Dogs does share some of the tropes of Anderson's previous films - there is a busy plot where the main characters are in peril and being hunted because of a misunderstanding and his offbeat humor. Yet Isle of Dogs is different enough to stand out from the rest of Anderson's filmography. For a start it's Anderson's first sci-fi film and it is basically a boy and his dog story. There is a much wider plot involving a political conspiracy led by Major Kobayashi and student reporter Tracy Walker (Greta Gerwig) who tries to expose it. This makes Isle of Dogs a very busy film which is another trait of Anderson, but the film keeps its focus on Atari's and Chief's (Bryan Cranston) journey it somehow works. It wasn't bogged down like Fantastic Mr. Fox was with existential musings and teen angst. Isle of Dogs is an animated film for adults. One of the first scenes in the film is two packs of dogs fight over a bag of garbage resulting with one of the dog getting his ear bitten off. There is a quite a bit of dog death and mutilation that gave the film an air of the '70s classic Watership Down. On the island there was a facility used to test on dogs and a rumor was that they escaped and turned into cannibals. When these dogs are shown they are scared and mutilated it makes them like they stepped out of The Secret of NIMH and Grant Morrison's We3. I wanted to see more of their storyline. The aboriginal dogs have to be a reference of Okunoshima, AKA Rabbit Island, an island inhabited by feral rabbits that are suspected to be the descendants of rabbits who escaped a chemical warfare facility. Isle of Dogs is also arguably a dissemination of democracy. The pack of dogs is run on a vote by vote system, almost like an early Soviet collective, and the votes against Chief is a subversion of classical Utilitarianism philosophy - greatest happiness for the greatest number, even if that means making a minority unhappy i.e. Chief. The city of Megasaki is going through a democracy but it is a faux democracy because Mayor Kobayashi is so powerful that he controls major industries, manipulates the mob with fear and uses his power to intimidate political opponents. Anderson employed a chapter’s structure for the film and there were many flashbacks. Combined with Anderson's distinct dialogue this made Isles of Dog seem like the closest will we would ever get to a Quentin Tarantino kids film. The Japanese setting and a meeting of the Kobayashi dynasty gave me flashbacks to Kill Bill Vol. 1. 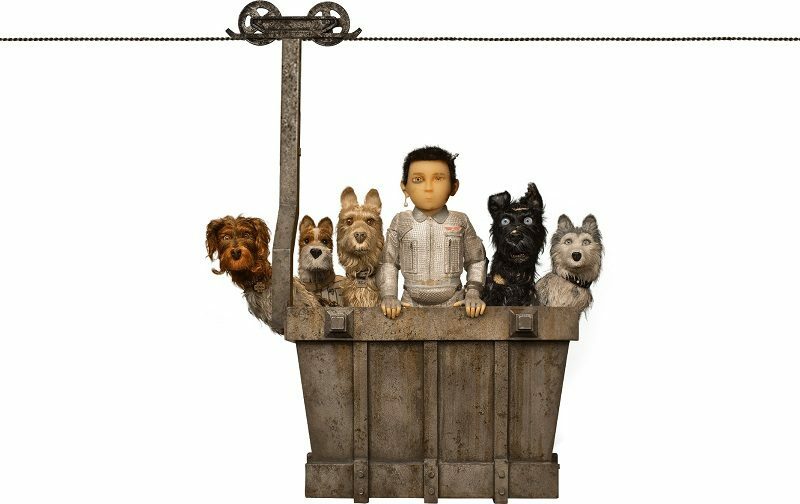 Isle of Dogs was a terrifically animated film - the models were incredibly detailed and the world was deliberately void of color - much like cyberpunk animes. Anderson also used a 2D animation style for when showing anything on a TV screen - like a political interview and security football. This added to the unique look of the film. Isle of Dogs has been criticized by some commentators for 'cultural appropriation' because it's a story set in Japan - told by white Americans and uses tourist clichés and simplified Japanese. This is far from the case because it was a well-told story that is set in Japan. It is far from 'cultural appropriation’ and these complaints come from a vocal minority. On a final note Alexandre Desplat gave Anderson another terrific score, using traditional Japanese instruments, giving the film a deep, percussion-heavy sound. Isle of Dogs is a different beast to other animated films of today, being more like something from the '70s or '80s. Anderson's fans will love it but because of his trademark style and wit makes it far from a kid’s film.